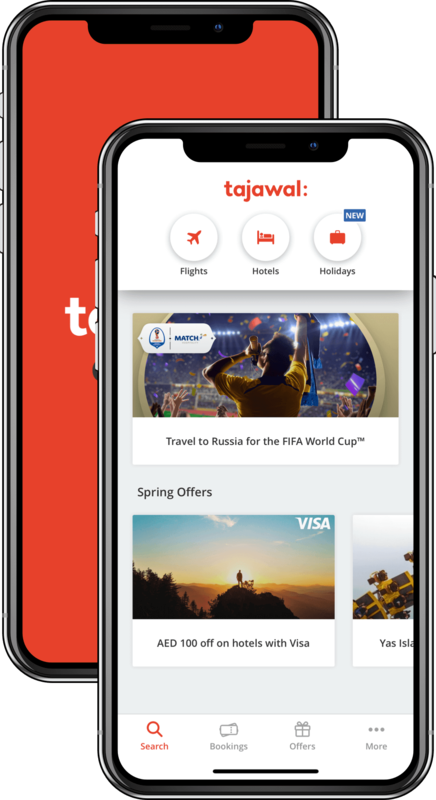 Travel with the new tajawal app! Tailor-made just for you, the state-of-the-art tajawal app is the answer to all your travel requirements, presenting you with an easy booking experience for hundreds of airlines, holiday packages, and over 1 million hotels from all over the world. Secure, hassle-free payments with your personal information fully protected! Filter your search, compare flights & hotels, and book seamlessly within minutes. Explore great deals on flights, hotels & holidays to plan your perfect getaway. 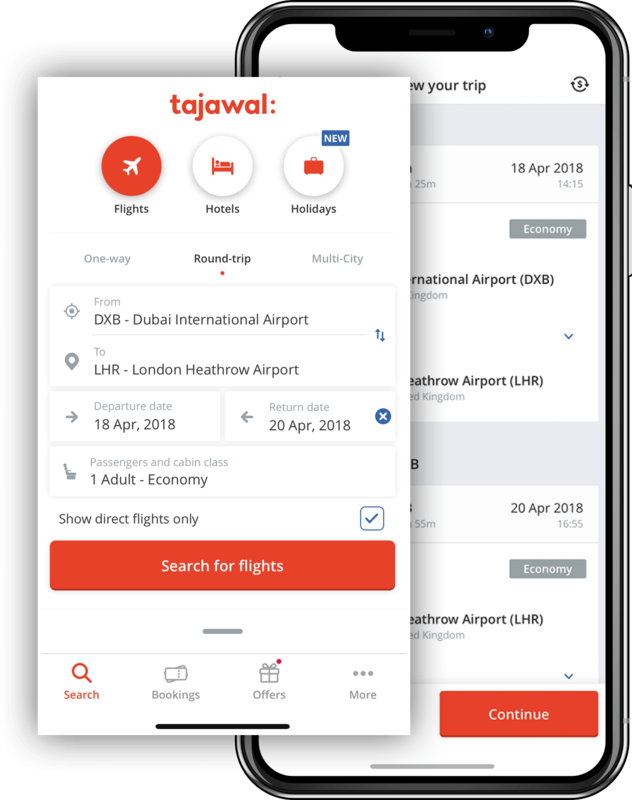 Download the tajawal app and book a flight to any destination worldwide, at any time, for the best price possible. Filter your search and choose the most suitable flight from a wide range of flight options from over 450 airlines. Find the best hotels at any destination around the globe. With over 1 million hotels on offer, you can compare and filter hotels based on price, amenities, and star rating among other options. Choose from a range of holiday packages that include flights, hotel accommodations, tours, activities, and detailed itineraries with suggestions on what to do, see & explore every day, to make the most of your trip. Book your flight or hotel on the go! We are constantly working to improve our travel platform to enhance your experience.